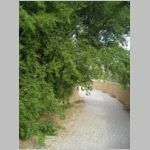 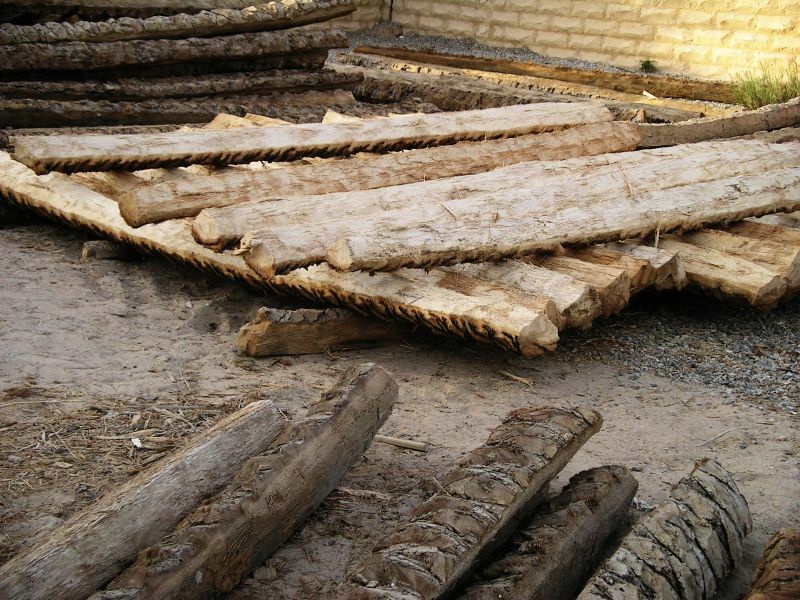 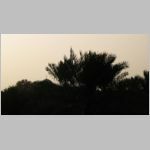 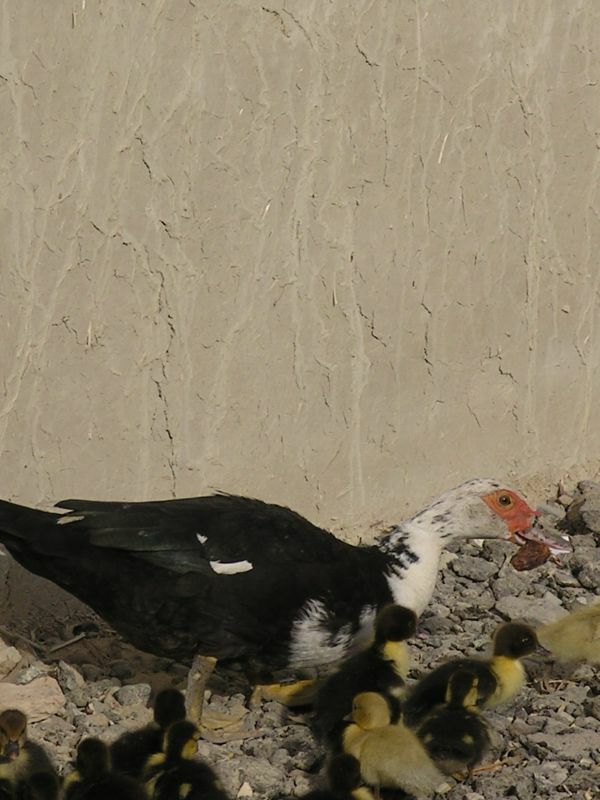 The modern city of Al Ain has incorporated most of the oases of the ancient district known as Buraimi in the history books. 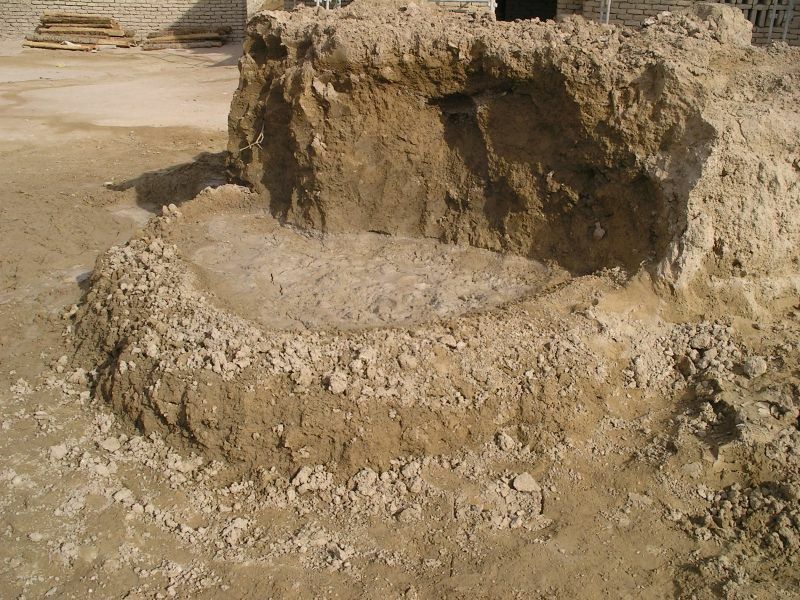 The Antiquities Department, in conjunction with the municipality, has been busy in recent years restoring many of the original buildings, using the original materials whenever possible. 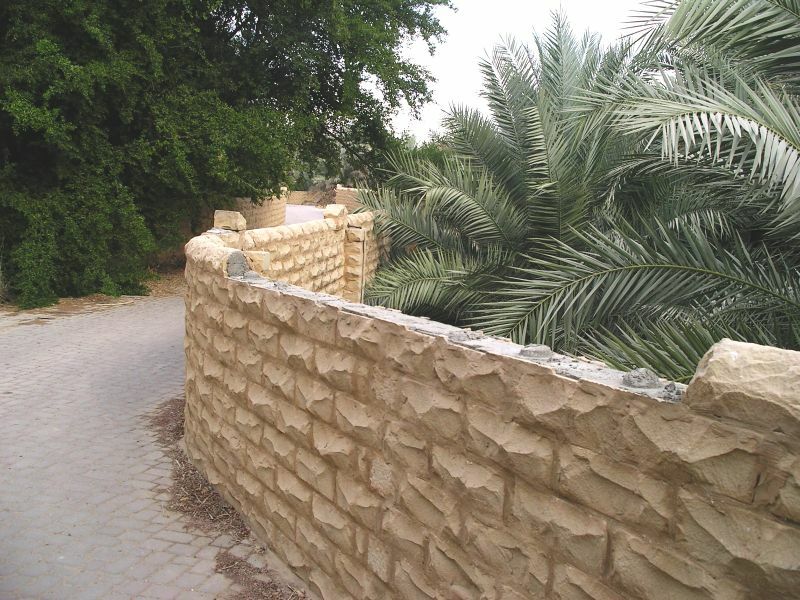 The Al Ain Oasis, the first of the ancient oases restored, is a popular destination for field trips and for the growing population of tourists. 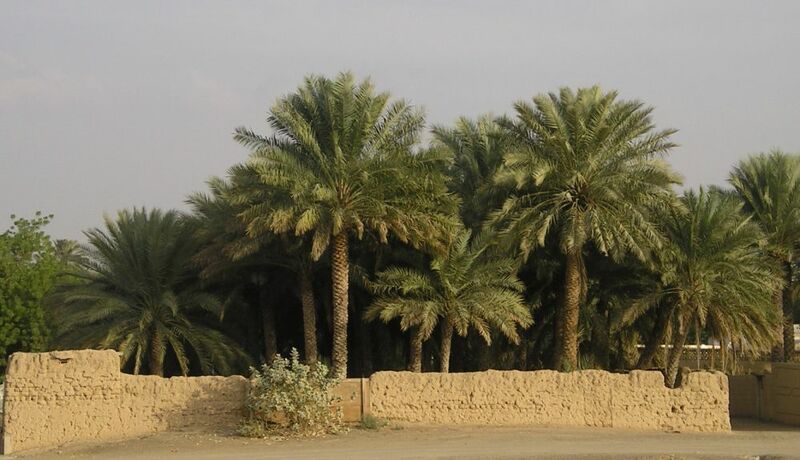 This oasis makes the city unique in the world; there is probably no other city of more than 300,000 in the world with working farms in the heart of the city. 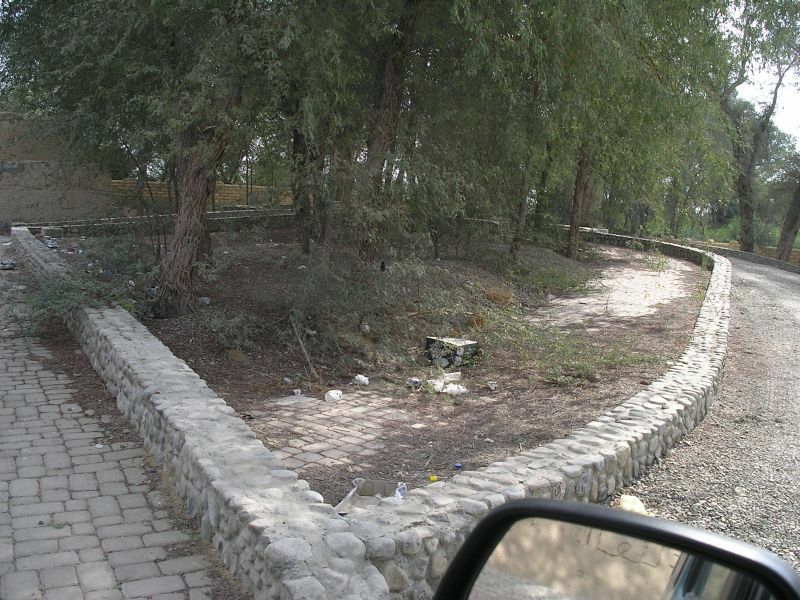 In the north-western area of the city, two of these ancient oases are separated only by a narrow strip of land. 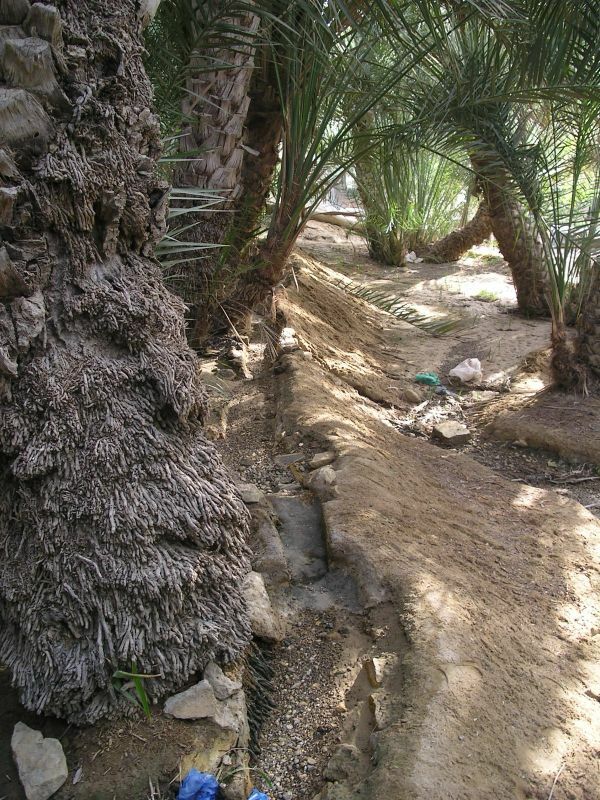 The Qattara Oasis, the larger of the two, is the only oasis in the city with the original entranceway still intact. 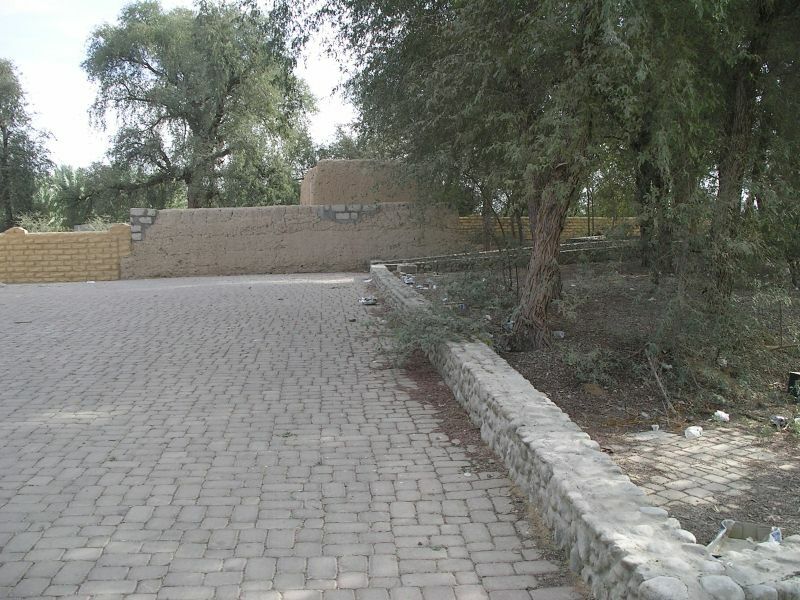 The Jimi Oasis features a beautifuly restored fort. 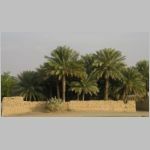 The Department of Antiquities has been rebuilding many of the original oases buildings, including farms, souqs, watchtowers and forts. 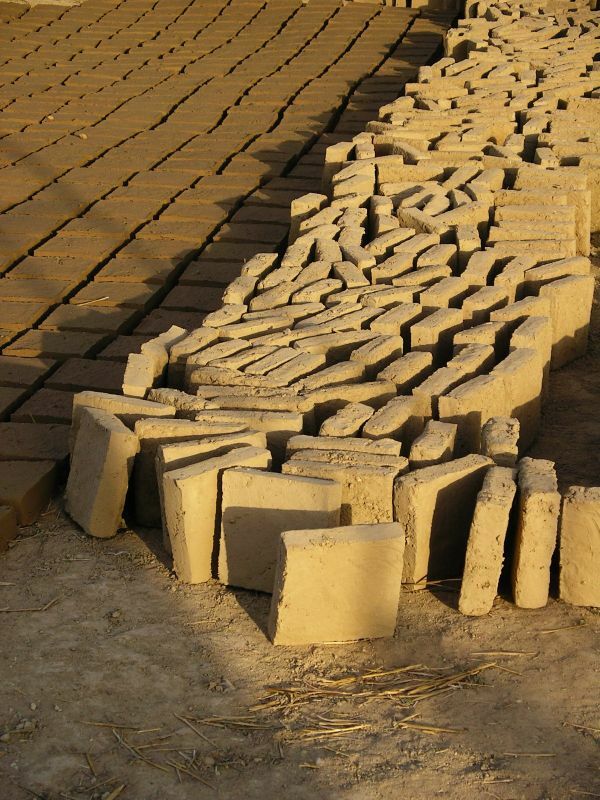 Many of these buildings are being made of square mud bricks, stacked to form a wall up to a meter thick. 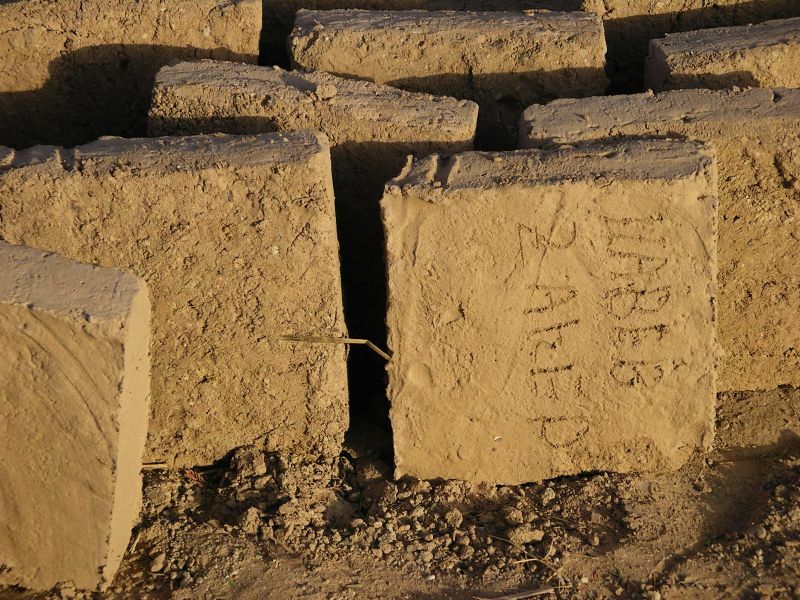 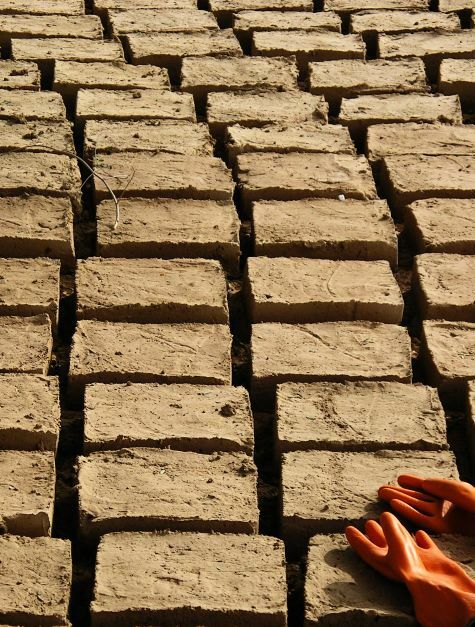 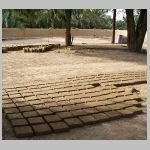 These bricks, fortified with straw, are then covered with a fine coat of mud. 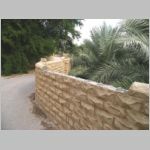 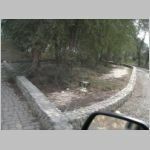 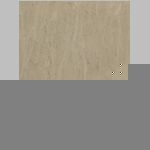 To prevent erosion of these walls, modern concrete is used for the crenellation and uppermost part of the walls. 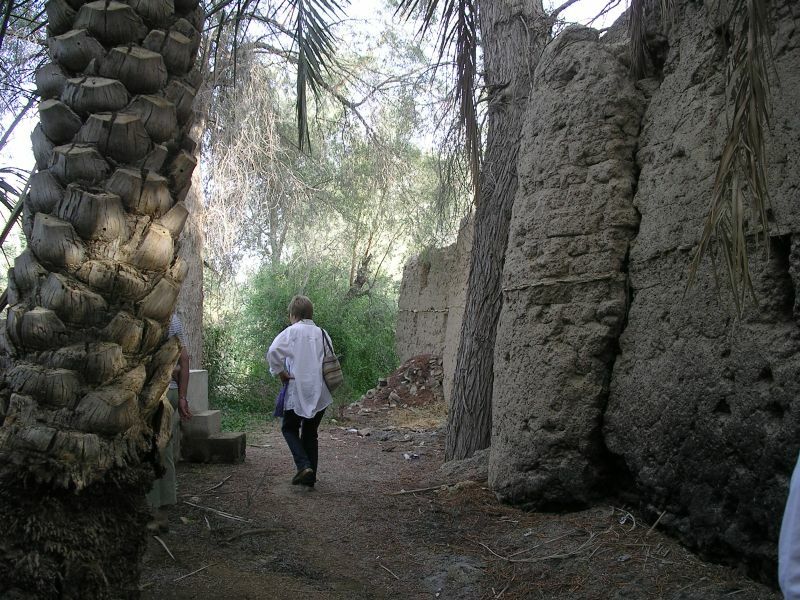 The January field trip included a brief walking tour in each of the two oases. 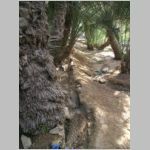 The event began at the meeting point of the two oases. 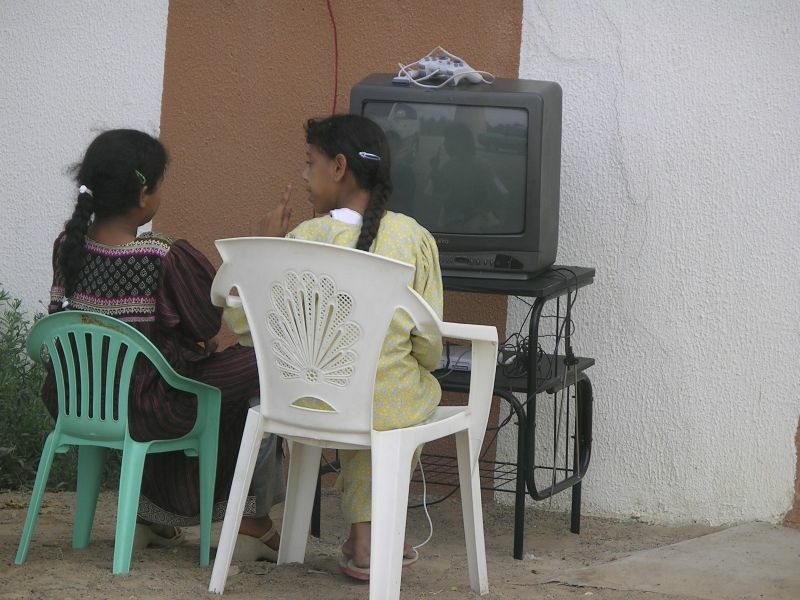 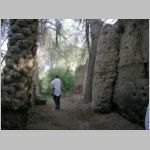 It is likely that the two oases shared a market area, noted now with a traditional covered souq. 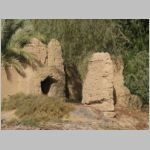 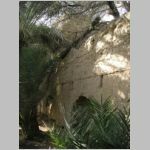 Immediately behind the souq is the original entrance to the Qattara oasis, complete with watchtower and three small compartments, likely used originally as shops. 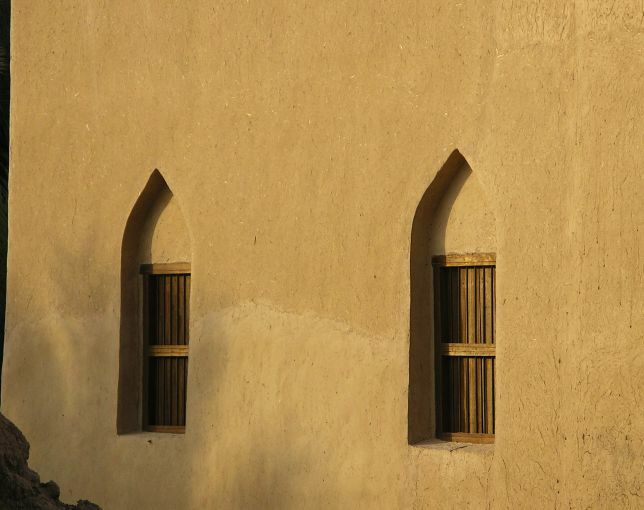 Nearby, the Antiquities Department has rebuilt a small mosque. 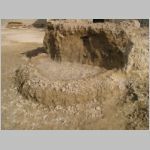 Evidence suggests the oases existed prior to the arrival of Islam in the district, with some of the mounds where watchtowers existed yielding Iron Age, and older, pottery. 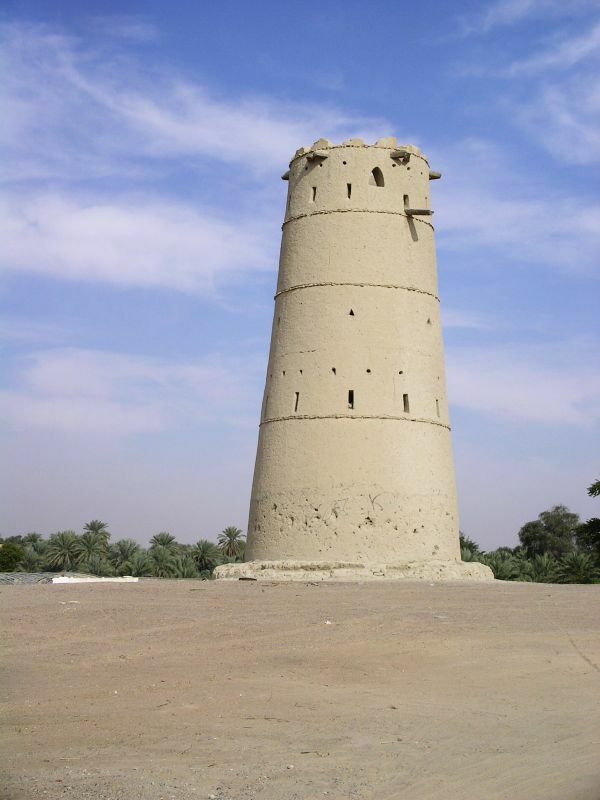 Each oasis included a watchtower. 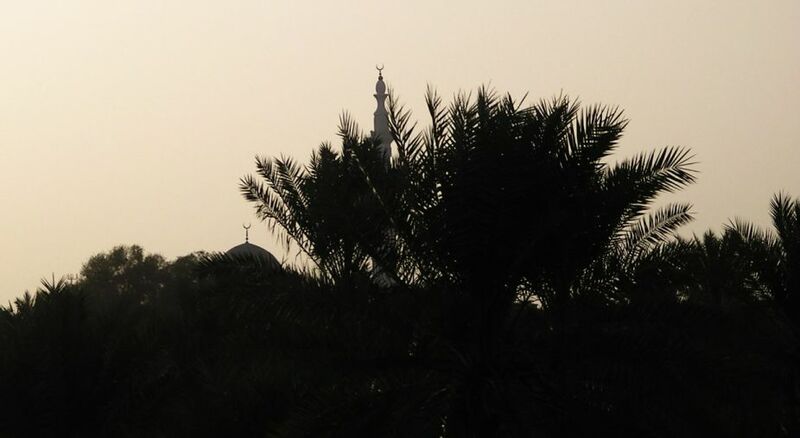 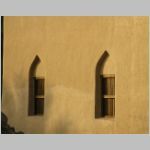 In Al Ain, as reported in Phil Iddison's article on watchtowers, there were three designs: tall cylindrical, square, and 'wedding cake' style. 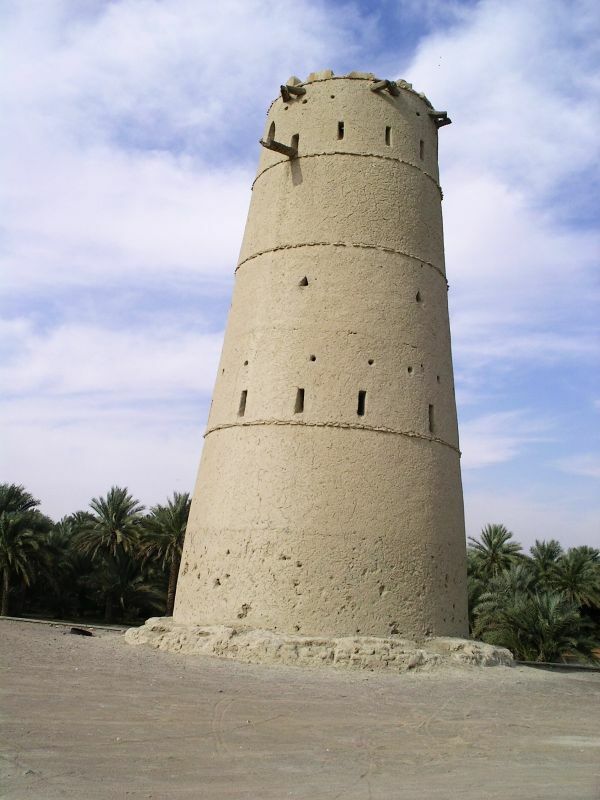 The tall cylindrical towers are in evidence throughout the UAE, an excellent example being found in Ras al Khaimah near the Wadi Suq and Umm an Nar period tombs at Shimal. 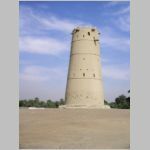 The watchtower was used for defensive purposes as well as a lookout. 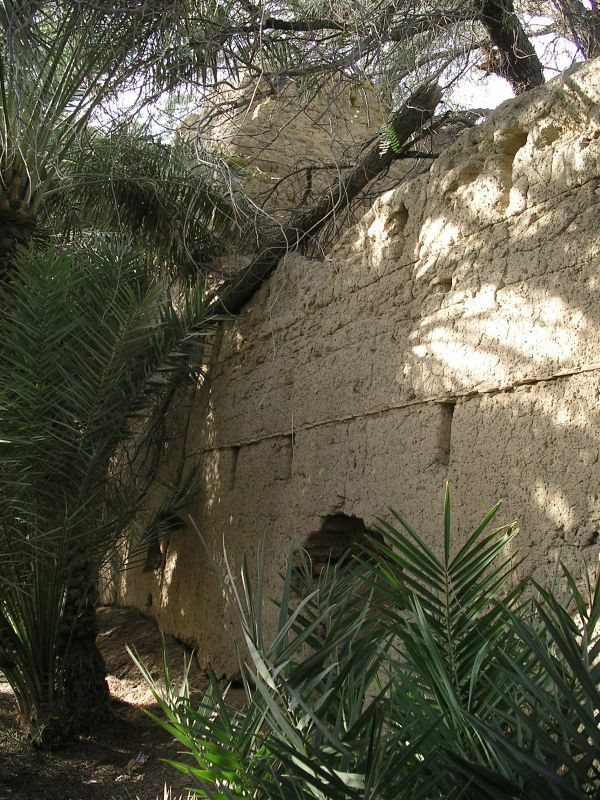 Raids among the tribes that managed the oases were relatively common, most reports suggest. 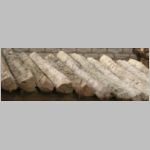 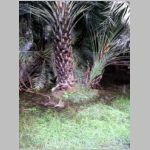 However, the reports also suggest there was no serious loss of life or injury. 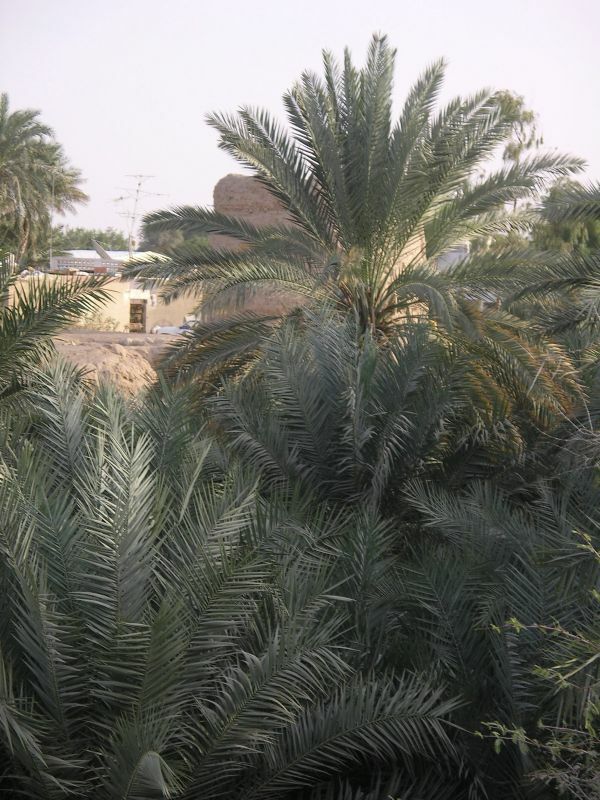 Life in each oasis consisted of individual families tending small plots of land. 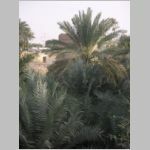 Today, the cultivation includes different varieties of dates, along with bananas, citrus fruit (oranges, lemons, limes), mangoes, grapes, and, occasionally, pomegranate. 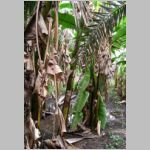 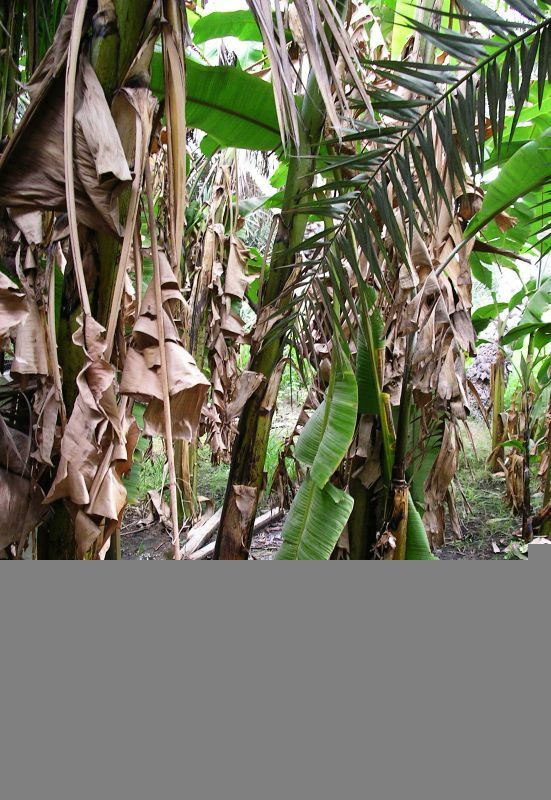 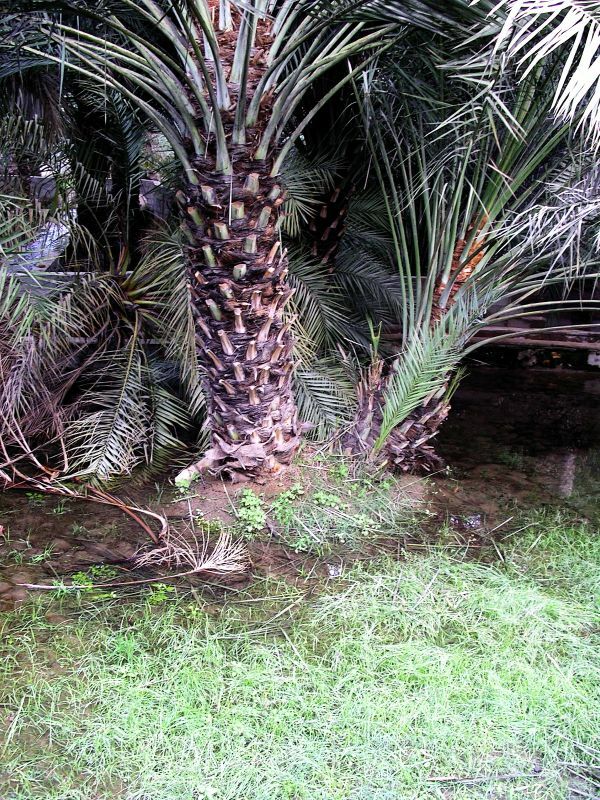 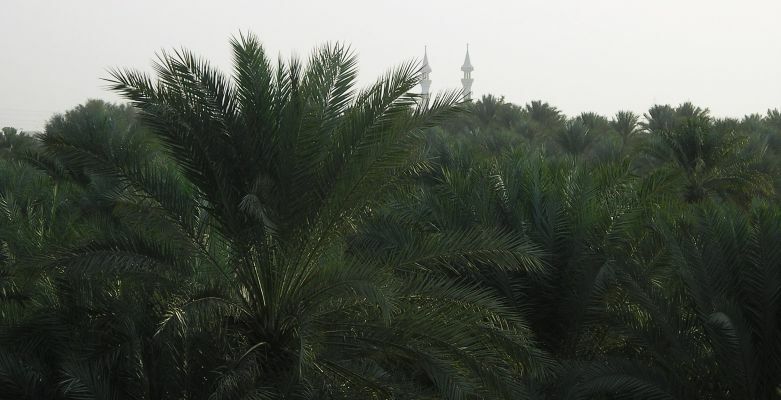 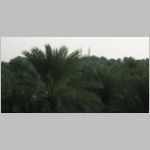 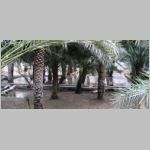 In the past, the area under the canopy of palms would have been used for vegetable and grain crops, as well as fodder for animals. 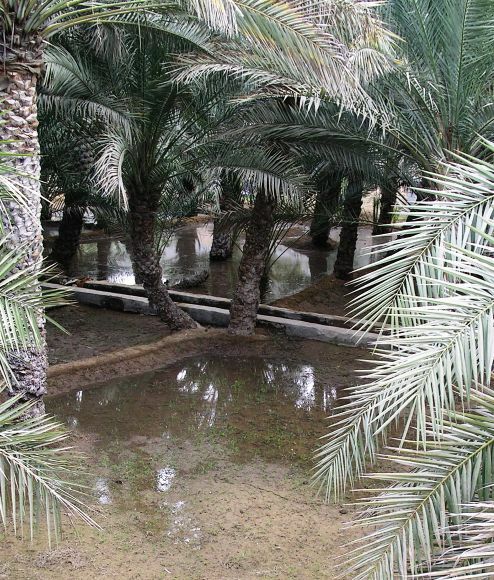 Today, the ground is seldom used for other crops. 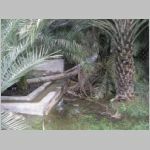 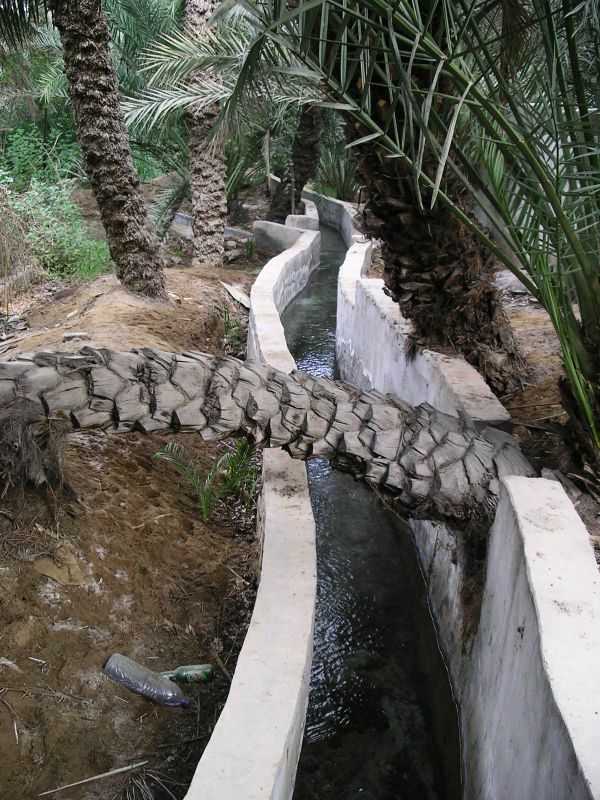 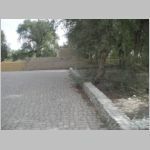 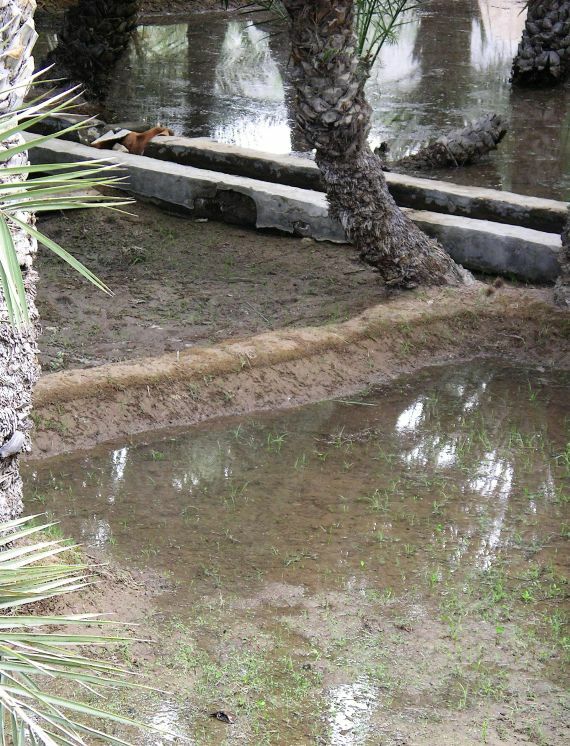 Irrigation was via falaj (plural afflaj) with the water distributed among the farm plots. 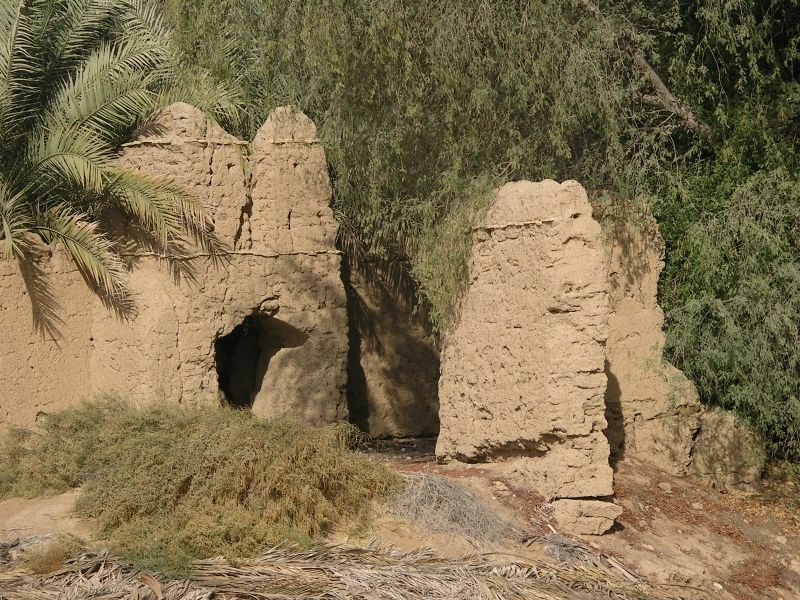 In some oases, the solar clocks are still in evidence; none are apparent at any of the Al Ain oases today. 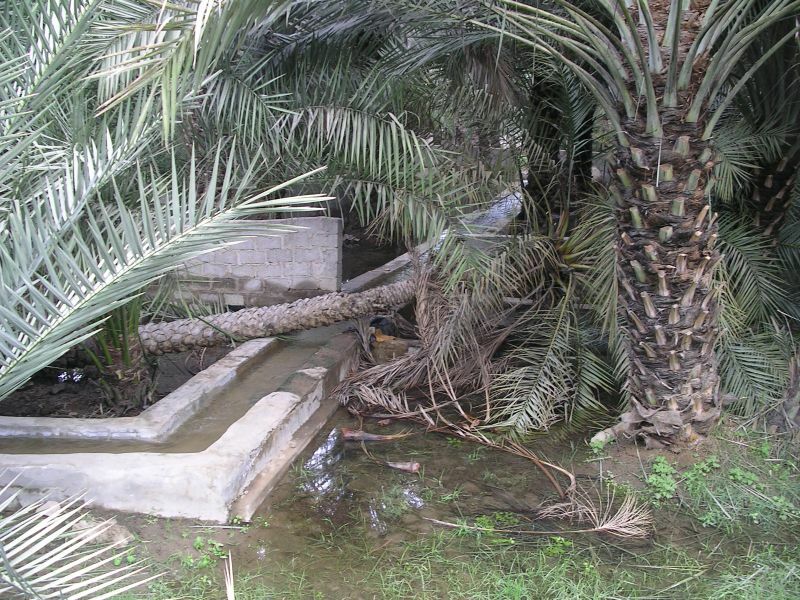 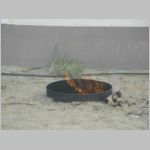 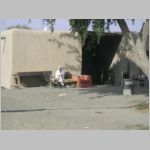 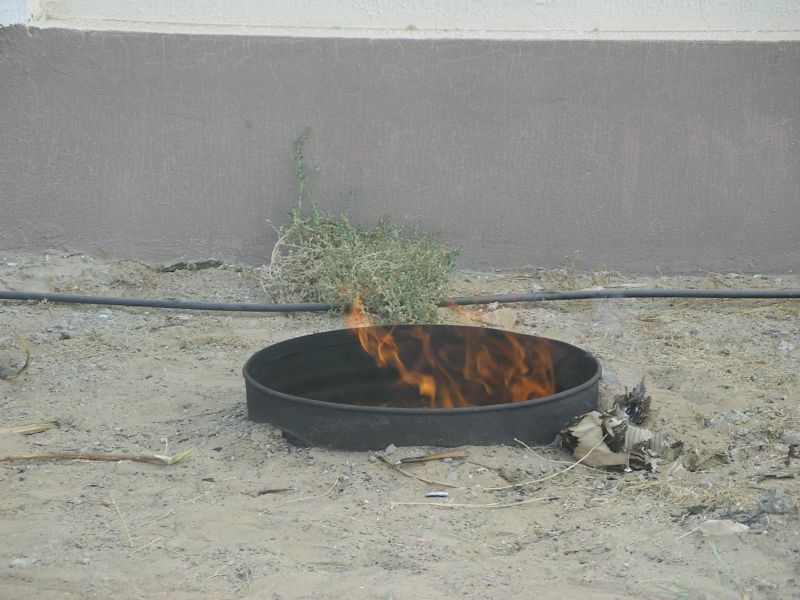 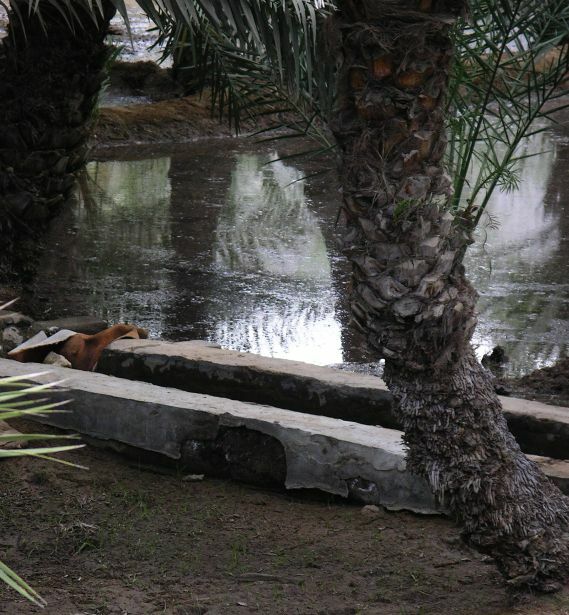 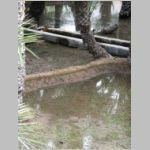 One individual was charged with the responsibility of distributing water within the oasis. 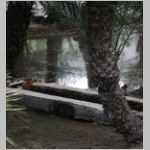 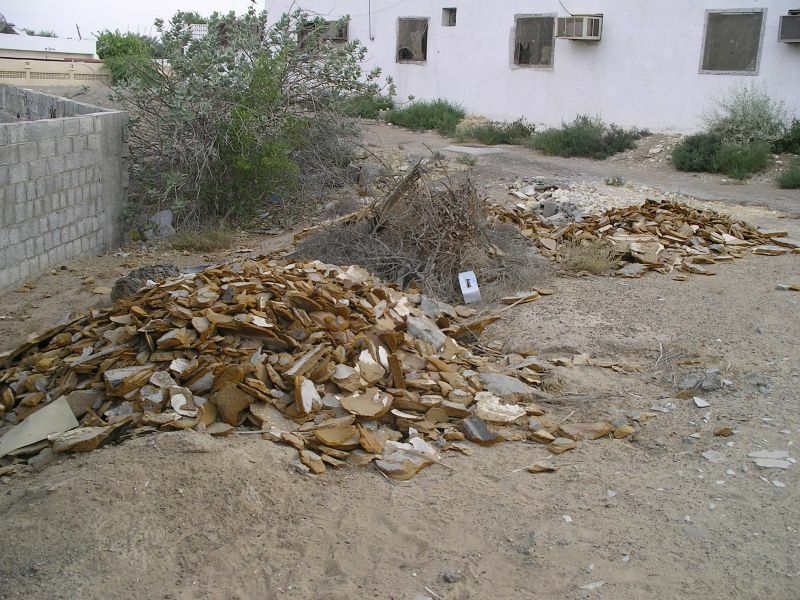 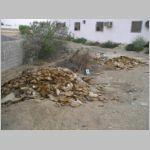 Stones, packed around cloth or other material, were used to divert water from one area to another. 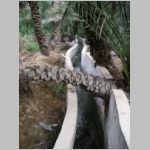 The resultant flood irrigation is likely the least efficient use of a rare and valuable resource; however, no other system was possible in ancient times. 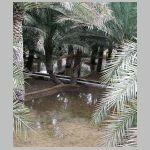 Some oases included reservoirs to ensure a regular supply of water though there are no reservoirs at either Qattara or Jimi oases. 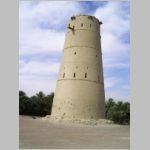 After a brief walk through the fringe of the Qattara Oasis, the group moved a few hundred meters to the Jimi Oasis and the heart of the oasis, where workers have already restored a farmhouse and mosque, and are busy constructing a tower. 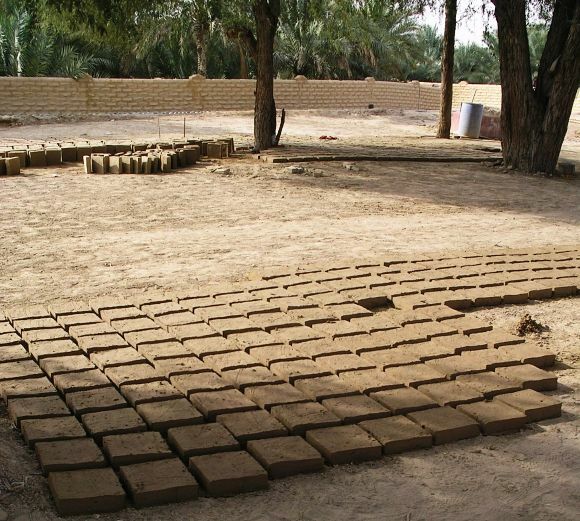 The area was covered with the square mud bricks used for these buildings. 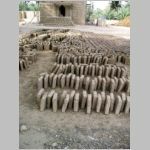 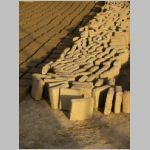 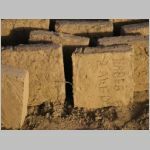 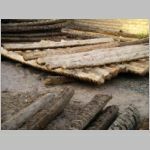 There was a supply of soil which is moistened and allowed to 'cure' before straw is added and the bricks made in wooden forms. 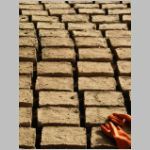 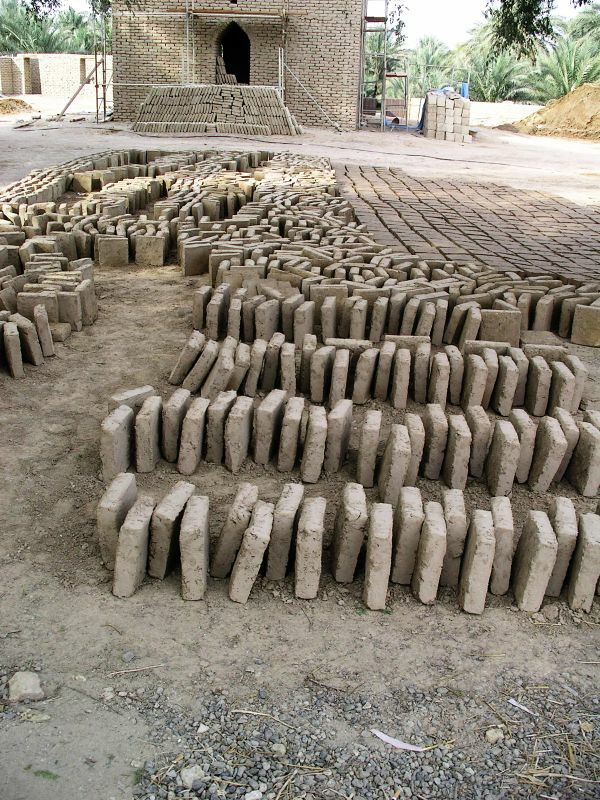 It was estimated that it would take several days for a batch of bricks to dry thoroughly. 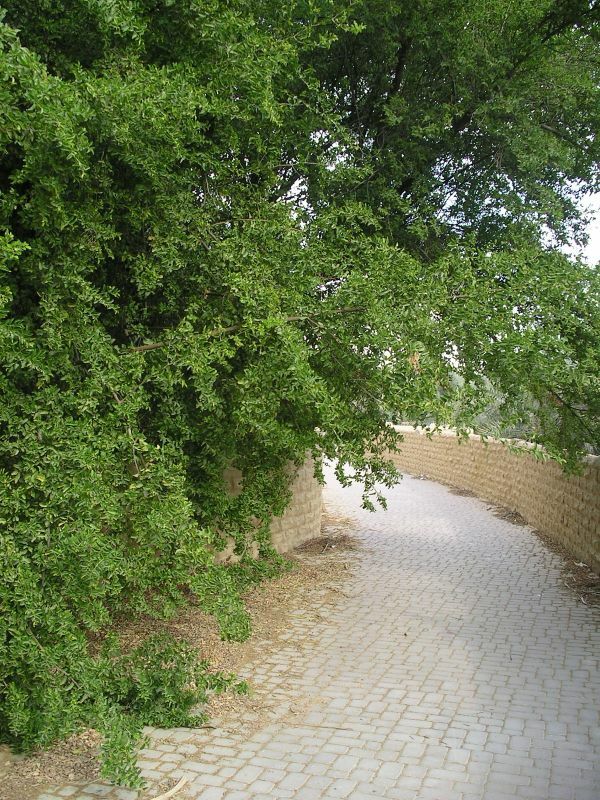 Thanks to Geoff for sharing his photographs and leading the field trip.